Today's digital cameras are remarkably good at producing images automatically. They have some 'intelligent' design features which produce an accurate focus and exposure, but no camera can be truly creative. For this the photographer skills are essential. Before you start taking your pictures you need to choose your ISO setting. The ISO controls the quality of the image. The lower the number the more data is captured in your camera which gives you punchier photographs. The total amount of light available when you take your picture needs to be shared between the ISO, the aperture and the shutter speed. In bright sunlight any settings are possible, but as the light gets lower you have some tough choices to make. You may need a fast shutter speed to prevent camera shake, but you also want a wide depth of field to capture all the detail in your scene. One of the ways you can achieve this is by selecting a higher ISO. When your ISO setting is higher your sensor reacts more quickly but at some cost to your image's quality. Have a look at the photographs above which show the same subject taken with different ISO settings. As the ISO setting increases, noise starts to creep in; it becomes a little fuzzy and black dots appear. A similar process occurs in film based photography and that is called grain. 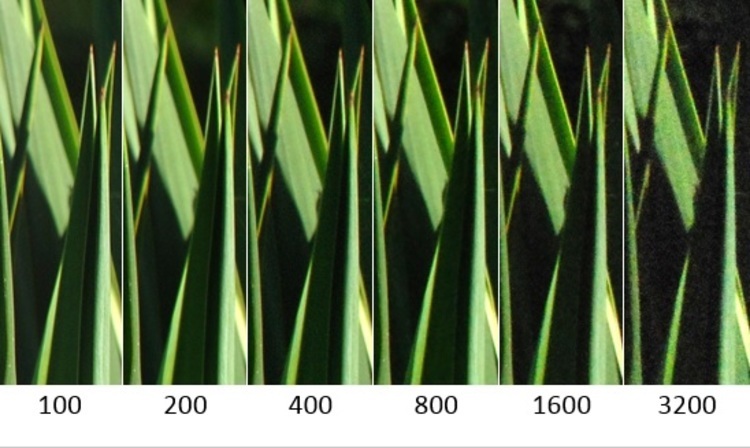 A higher ISO will allow you to take pictures in lower light but it will affect the image's quality. Keep in mind what you plan to do with your pictures. Small JPEG files shared on the internet don't need ultimate quality, but noise will be noticeable in a favourite print on the wall. 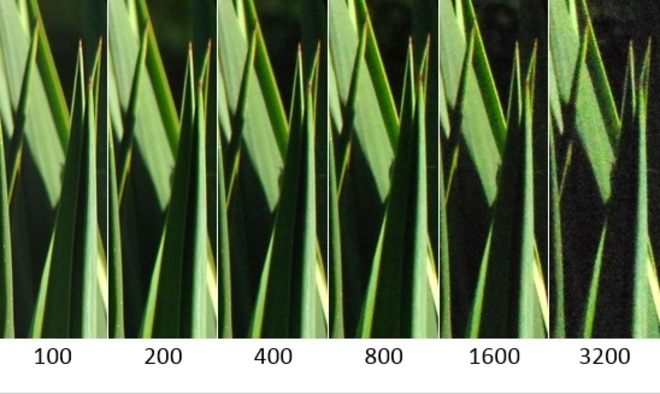 Each camera is a little different in the way it reacts to light, so try out the exercise above see how the various ISO settings of your camera and will affect your images.